Find here your deals and coupons Hoteles Costablanca. The wide range of properties reaches very different targets, from those who are looking for the exclusivity of a 5 stars hotel to those who prefer more economic options. 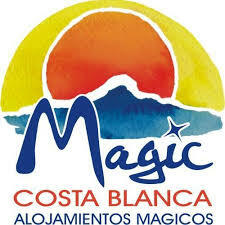 Discover in Magic Costa Blanca the best romantic getaways, relaxing, with family, pet and many more. Live a magical holiday in Benidorm, Gandía, Finestrat or Alfaz del Pi enjoying the beach, the sun and all the comforts that await you.